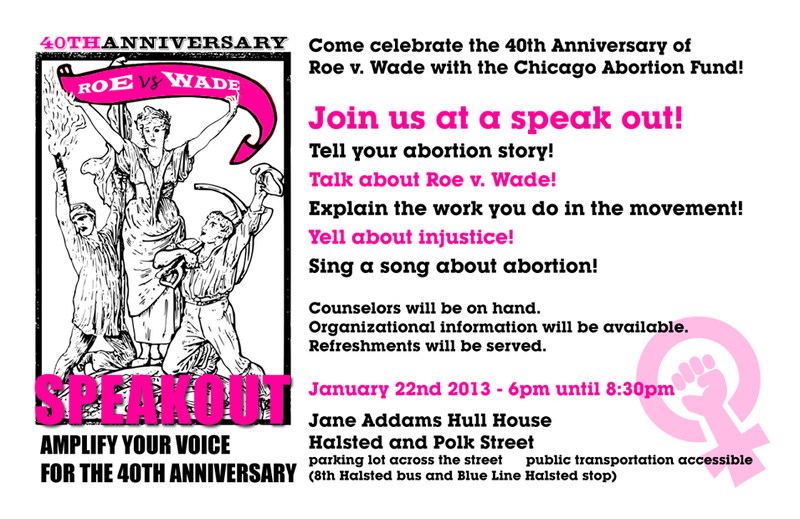 Come celebrate the 40th anniversary of Roe v. Wade with the Chicago Abortion Fund! Join us at a speak out! Talk about Roe v Wade! Explain the work you do in the movement! 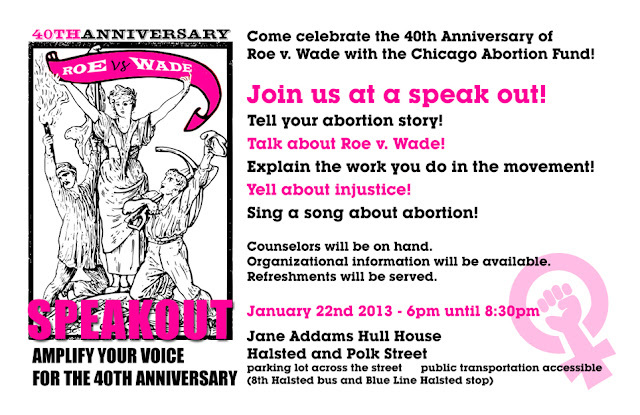 Sing a song about abortion! Counselors will be on hand. Organizational information will be available.